Mike Parsons spoke at the Ullswater Breakfast Talk at The Royal Hotel, Dockray on Saturday 7th April 2018. Mike has worked as a manufacturer with Karrimor and OMM. He has also been teaching innovation for 10 years at Lancaster University management School and runs an annual innovation conference for the outdoor industry. The following precis of my talk provides a quick bullet pointed overview of the history of environmental concern, which relates very strongly to outdoor and mountaineering organisations of which I am part. Secondly I look at the issues of global warming in terms of manufacturing processes, almost all of which create emissions, effluents and physical waste. Finally I will review a few of the things we see in our recycling baskets and reassess the situation with supermarket poly bags in terms of emissions, effluents and waste/landfill. USA 1890’s, John Muir, Scottish emigree, USA. and the campaign against the Hetch Hetchy valley dam and flooding (even better than Yosemite it was said). Greenpeace 1971 San Francisco USA is an independent global campaigning organisation that acts to change attitudes and behaviour, to protect and conserve the environment uses non-violent, creative confrontation to expose global environmental problems, and to force the solutions which are essential to a green and peaceful future. 250,000 members in the United States and 2.8 million members worldwide provide virtually all of the funding through individual contributions. Germany has 580,000 members, and enough MP’s to strongly influence the environmental agenda in Germany. Leading outdoor brands which Greenpeace targets are; Patagonia, an influential company with a reputation for environmental concern, TNF The North Face owned by VF corp a $10bn company. John Muir Trust 1983 - Scottish Charity - to conserve wild land. Everyone seems to hate them but yet finds them very convenient to use for lots of things - so what is the real issue? The issues of global warming are mainly about CO2 emissions and the need to reduce. So how bad are polybags measured in terms of CO2 emissions? My quote from page 18, ‘How bad are bananas’, book written by Mike Berners-Lee who operates his consultancy business from the Lancaster University, UK campus. 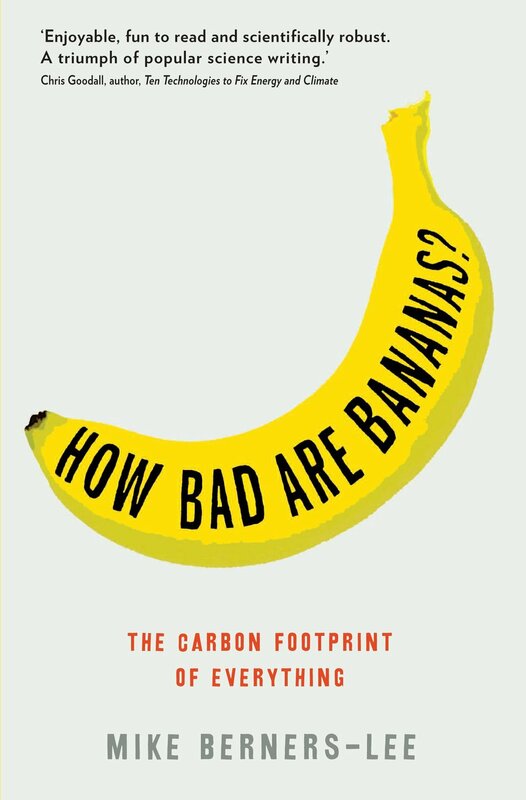 This book gives the carbon footprint of everything and was produced because there was no standard reference at all to guide his clients, some of whom were supermarkets. All this based on the premise that climate change is a big deal, it’s man-made and we can do something about it. “CO2 emissions are 10g for a disposable supermarket bag. “Over the past few years that UK supermarkets have been making a big effort to reduce the use of plastic bags. It’s a highly visible green gesture and as such I’m not criticising it. But has it helped us to get to grips with climate change? Not really. Paper carrier bags comparison; page 21 same book. “A common assumption is that paper bags must be environmentally preferable to plastic. Wrong! Even a lightweight recycled paper bag produces slightly more greenhouse gas emissions than a typical plastic carrier. A 500 ml bottle of water 110g of CO2 emissions for locally sourced, 215 g if travelling 600 miles by road. When calculating emissions for any product it is not only the manufacturing process that is included but also what happens during their lifetime use, including of course washing and drying. Mike Berners-Lee quotation again; CO2 emissions clothing. 3 kg of CO2 for a pair of synthetic outdoor trousers. “All told if you live in the UK, clothing and textiles will typically make up about 2% of your CO2 footprint. However as always there are broader issues”. Mike Berners-Lee. Cotton. Almost all perceptions by people is that cotton fibres and textiles are eco-friendly. This is not correct. They use 15% of the world output of insecticides and 25% of fertilisers (both of which are produced from oil) and use a huge amount of water so needing 75% irrigation instead of natural rain. In use cotton takes more drying in washing /dryers so that means a larger C02 footprint over their lifespan. Cotton is often government subsidised in some way or other. It is interesting to note the disaster of the Aral Sea which is emptying because the water is being diverted to crop irrigation, although it is not all cotton. Organic cotton. Patagonia Inc USA, were an early instigator But the price is a premium of around 25%.A broad range of clothing companies, outdoor and fashion, have assessed their CO2 footprint over the last 10 years. As a consequence of the realisation of the real truth about cotton and the fact that polyester can now be made from recycled PET drink bottles, there has been a significant shift to polyester fibres. This now amounts to about 45% of all world wide fibre production. The global production of synthetic fibres uses around 7% of oil output. There is very little recycling of garments into new garments. This is because garments are composed of multiple fibres and components and dissembling them is too expensive. However there is a very extensive garment “recycling” system where garments are sorted and sold to developing countries around the world. However these markets for used garments is beginning to slow rapidly as lesser developed countries wish to develop their own garment industries. 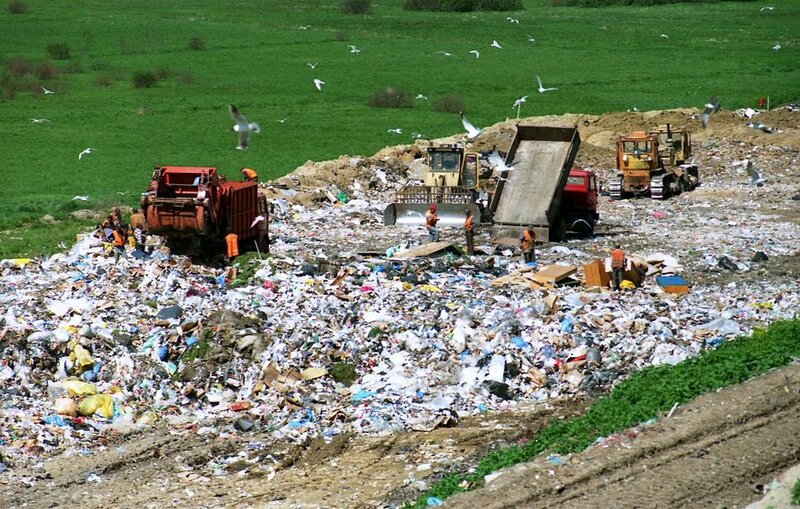 When plastic goes for recycling by our local recycling centre, where does it really go to? The answer is probably China. Source Economist - China is not only the world’s biggest emitter of carbon, but the world’s largest recycler, treating just over half of exported plastic waste and spent over $18bn on imports of rubbish last year. America, meanwhile, is an eager supplier. In 2016 nearly a quarter of America’s biggest exporting companies by volume were recyclers of paper, plastic or metal. Topping the list was America Chung Nam, a California-based supplier of waste paper which last year exported 333,900 containers, mainly to China. No more! China halted imports as from Jan 1st 2018. The Ullswater Breakfast Talk, at The Royal Hotel, Dockray, takes place on the first Saturday of each month starting at 8am. A small donation to the nominated charity of the speaker is welcome. The Royal provides a breakfast bite. Future topics for the Breakfast Talk can be found on the Events and Calendar sections of this website. All welcome.